Inheritance Advances — 100K Investing, LLC. 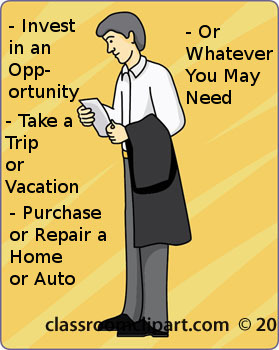 Are you one of thousands of Americans waiting for a pending inheritance to be paid out but in need of FAST CASH today? You don't have to! With an Inheritance Advance from 100K Investing, LLC you can receive a portion of your pending inheritance in the form of LUMP SUM CASH payment immediately. Many heirs are not aware that their inheritance can be held up in the probate system for a full year or even longer. In today's challenging economy, such a lag time can cause significant financial difficulties when cash is needed most. But there's no need to wait. Our experienced contract can provide you with an advance of cash upon an inheritance in probate of up to $250,000.